Rep. Cynthia Browning: Insufficient state funds? This commentary by state Rep. Cynthia Browning, D-Arlington, originally appeared March 15 in the Manchester Journal. 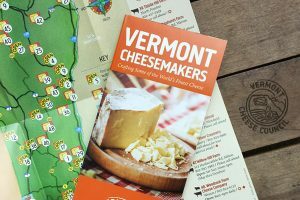 Vermonters may wonder why there is a continual struggle to fund state initiatives, and why raising taxes is often discussed. One cause of this complex problem is the state’s unfunded pension liabilities for the state employees’ and teachers’ retirement systems. The state is paying current retirement benefits, but we do not have enough in the accounts to ensure that future benefits can be paid. Expert actuaries are in charge of setting the amount required to build up the funds. They have increased this annual payment based on longer lifespans of beneficiaries, increases in the size of salaries at retirement, or decreases in the rate of return earned on invested funds. The unfunded pension liabilities are a form of debt, but instead of staying at the same level so that it can be paid down, the amount can suddenly increase for reasons beyond the control of state government due to these changes in actuarial requirements. This means that every year millions and millions more dollars from the state General Fund must be allocated to the pension funds. It becomes harder to fund child care, clean water, paid family and medical leave, weatherization, economic development, college education, and many other needed programs. What are the causes of this problem? It is a defined benefit system, so we must pay established benefits and cannot change them without permission of the beneficiaries. Years ago the full required annual funding payments were not made. And as mentioned above, the rates of return on fund investments have been lower than anticipated, retirees are living longer, and their salaries are higher so their pensions are larger. The state has been making the required payments into the pension system in recent years, and when possible we have made extra payments with surplus funds. Ten years ago we renegotiated some benefits to reduce costs, but this has been overwhelmed by the recent increases in required payments. But it is not sustainable for the required payments into this system to continue to grow unpredictably so that it is difficult for the state to provide needed services to Vermonters. Therefore I have introduced the bill H.447 with Rep. Linda Joy Sullivan of Dorset. This would impose a one percent tax on both the compensation of those state employees and teachers still working and on the pensions of those retired. There would be no new tax on anyone else. The revenue would be deposited in the pension funds, so beneficiaries would contribute directly to ensuring that their funds are solvent. Such additional amounts deposited will reduce the future unfunded liabilities significantly given returns on investment that will be earned over the years. And there would be more resources available for other programs in the state budget now. This proposal will likely be politically unpopular with teachers and state employees who would pay the tax. I honor them for their work and they deserve the benefits earned. I understand that I will likely be attacked for even suggesting this. But these retirement systems are costing far more than ever anticipated, and it is fair to ask beneficiaries to contribute more rather than imposing so much of that burden on others. I am obligated to offer a proposal to prevent the unfunded pension liabilities from taking up so much of state resources that it is hard to fund programs that benefit all Vermonters. 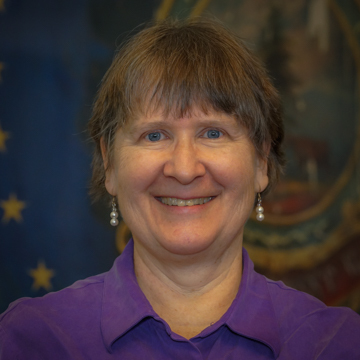 State Rep. Cynthia Browning represents Arlington, Sandgate and Manchester in the Vermont House of Representatives. Wonderful to see such bipartisan support, we need to lift people up when they get close to solving our states,problems, this woman will get no support or coverage in any other publication I ca assure you that. 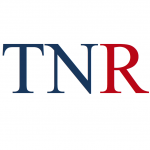 Kudos to True North Reports and all the readers. A drop in the bucket. Practically meaningless unless the defined benefit method is scrapped and replaced with a defined contribution plan. Rep. Browning is one representative that actually thinks! But, why not dedicate 1% of the taxes that are currently being taken out of retiree checks to reducing the liability. Sure it cuts into the general fund but let the others begin to prioritize their spending for a change. We cannot continue to do everything for everyone in a state that only has about 350,000 people actually working. FINALLY!!!!!!!!!!!! We have a Dem who is willing to offer a solution which solves a problem by getting those who benefit pay for it. Happy day!!!!!!!!!!!!!!!! Seems like as usual Vt likes the feel good stuff in exchange for the bread and butter . A few years back VT changed their funds to the feel good investments, from the feel bad fund investments no wonder we have a shortfall! Not a great rate of return where it counts. It’s sort of like green energy it’s not going to make much of a difference in the scheme of things, but it feels good so by god we must do it in Vermont ! No matter how high the costs to the taxpayer are! I am pretty sure that my retirement income is already TAXED in Vermont! I sure paid taxes on it all year!! So I am guessing this is an additional tax added on to what I pay now. I think it’s about time this State did some belt tightening to afford things instead of adding new taxes. Not really sure family paid leave and medical leave and some of the other feel good programs should be funded at the cost of retirement income. There is nothing wrong with changing the retirement system to a 401k type benefit,for the future, a lot of Companies are doing it.At least you can choose what you want to invest in. Cynthia Browning is a sharp woman. She is probably one of the most knowledgeable people in the legislature insofar as the budget numbers. Regardless of your political affiliation she speaks to the numbers not the party. If I were one of her fellow legislators I would pay attention to what she says. The people that worked and lived by the rules you have given them should not be penalized so you can take their money to give to others that won’t work. Take the benefits away from the lazy and unwed mothers that know how to play the system by just having more kids for the compensation they get. You might have plenty of money to fund the retirement payments. Why do you think we need to have Mexicans here to milk the cows? Vermont politicians allow the lazy to live a good life without working. We are on the wrong track in VT.
New policy: if you don’t work, you don’t eat, bet you’ll have plenty job applicants. I agree with Representative Browning’s proposal with the following caveat. There are numerous two pension households some of them are both state employee pensions, conversely, there are teachers and state employees that are one pension households. The tax should not be imposed on a single pension household that is inequitable, arbitrary and capricious. It is one thing to propose this 1% tax and another thing entirely if it is across the board with absolutely no income sensitizing. I would like to see these ladies step up and do the same for health care for teachers and government employees like they did in Montana. Now there is someone who knows how to make a system work for them. Cynthia and Linda are two of the most economically astute members of our General Assembly and also are among the most wise and realistic. One might wish that there could be more of their colleagues who both care about serious problems like this and who have the guts, the fortitude, to do something about them. We, in the north end of Bennington County are so darn lucky to have them representing us. No doubt they’ll be harshly criticized by many of those in the legislature whose main contributions to justify their elected status are to play political games or, lacking even the knowledge to be able to do that with any degree of intelligence or independence, follow their political leaders like little piggies with rings in their noses. They are the ones who care only about re-elected, but let’s all be grateful to Cynthia, Linda and the relatively small number of others of our legislative representatives who take their responsibilities seriously and who are willing to do what’s right and necessary to serve the electorate even if it may require that they take some blows to their fortitude. Thank you Cynthia and Linda! Very good to see a concern about this matter by Reps Cynthia Browning and Joy Sullivan. Being Democrats this might get somewhere and enlighten other Dems to the same. But in VT politics, if a Republican presented this Bill 447, the Dem leadership would do a file 13 with it. Definitely a start and I hope it gets more support. When the stock market takes a dip and the pension fund loses value, the plan recipients have no worry because Vermont taxpayers will make up the difference. When retirees living off their 401k retirement funds and the market takes a dip, no one makes up the shortfall for them. Time to change to a defined contribution before it bankrupts the state. It’s a start – but a typical Democrat “solution” – a new tax. I’d really like to know why the move to self-funded 401ks is so completely resisted as to be not discussed at all (to public knowledge, besides Dave Coates). Can someone explain the underlying motive to resist this kind of reform? I’d really like to know. Its about accountability isn’t it? Of course they should be the only ones funding their benefits. The value of their pensions, health care etc far outweighs the value of service they provide. The pols now need to make Accounting 101 adjustments per FASB… they’re in a hole looking for more money. There should be a statewide audit by a national accounting firm and report issued, department by department, on where our tax money goes. Thank you Cynthia and Linda. This is a good idea to help reduce the pension cost. Bravo to this house rep from Bennington. This is the work that should be done in the state house versus looking for new ways to tax the few. voting it more money without funding that money, living outside their means…. what’s actually needed for VT. But that’s what you get electing leftards.. It has been an observed problem since before 1990. In Massachusetts teachers contribute 11 percent of their gross income!! Thank you for stepping forward with this proposal, Cynthia. Adopting it will help, but the problem will never be fully solved unless we switch to a defined contribution plan for all NEW employees. Present employees would not lose what has been promised to them. Rep. Cynthia Browning is one of the few Democrats that “gets it”. 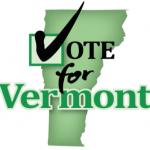 Easily one of the sharpest representatives that you in Vermont have. She will get belittled by the left and sadly, although I hope I’m wrong for my family members still in VT, this proposal will get push back from the UNION thugs and scuttled. She’s often coming up with excellent ideas. We should certainly change the formula from here on out, we can’t keep up with the current one. How are we obligated to promises people made years back they could never keep and never afford? Seems a bit of a raw deal to me. There should not be a guaranteed return for the pension fund, it should be based on market conditions as ours are. Also the 401K system of a retirement program is fair for everyone. The repugnant legacy of 35 years of leftist-Democratic rule. I think you have a wonderful concept here..
At least someone is making an attempt to remedy a problem that will continue to grow unless some action is taken. The Cost of Education in the state of Vermont is killing the taxpayers financially. 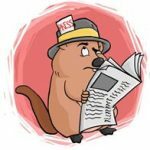 Taxpayers in the state of Vermont are constantly being tapped to pay the salaries of those that are by far more well- compensated then the people supporting them..